Entering the Saturn V Hall at the U.S. Space and Rocket Center in Huntsville, Alabama, you’re immediately aware of the sheer size of the facility, as you realize that the entire rocket, all 363 feet of it, is on display above you. Here, the experts guiding you through the multitude of machinery, rockets, and space artifacts include former astronauts, aerospace engineers, and other key individuals who helped to make space travel possible. The list includes retired Brigadier General Robert Stewart, or “Bob,” as he insists on being called. A combat pilot in Vietnam, a test pilot for the U.S. Army, and the first active duty member of the Army in space, Bob test-piloted the Manned Maneuvering Units (MMU), making him the first person to perform an untethered spacewalk. This is a small example of the comprehensive experience that awaits visitors. While the center provides an engaging and entertaining tourist stop, the real STEM jewel is Space Camp. Since 1982, more than 750,000 trainees have completed these programs, with alumni consisting of astronauts, engineers, scientists, and technologists. Astronaut Dr. Kate Rubins, Blue Origin Propulsion Development Engineer Dr. Michelle Christenson, Rover Driver and Lead Flight Director Mike Siebert and Planetary Scientist Dr. Jennifer Heldmann are just a handful of these accomplished alumni who have participated. Trainees at Space Camp build collaborative relations with their fellow trainees by participating in project-based learning simulations, including space travel, docking with the International Space Station, and inhabiting Mars. “This hasn’t been done before,” says Pat Ammons, director of communications, referencing the programs’ unique ability to bring an immersive experience that focuses on collaboration and critical thinking. The programs available at the U.S. Space and Rocket Center are unique, offering students a once-in-a-lifetime experience to fully participate in a STEM-focused and interactive learning plan. Some examples of these are their robotics camp and aviation program, which takes influence from the military. In addition to children and adolescents, adults can also attend Space Camp, whose program strives to increase STEM curriculum locally, nationally, and globally. Several scholarships and grant programs are available for STEM instructors who wish to attend Space Academy for Educators. In addition to paid programs, Space Camp has several grants that will cover the cost of the program, and the Alabama legislature has created an incentive that provides full tuition and cost grants for some Alabama state educators. The work of this institution represents an important step toward encouraging an education that the American workforce desperately needs. 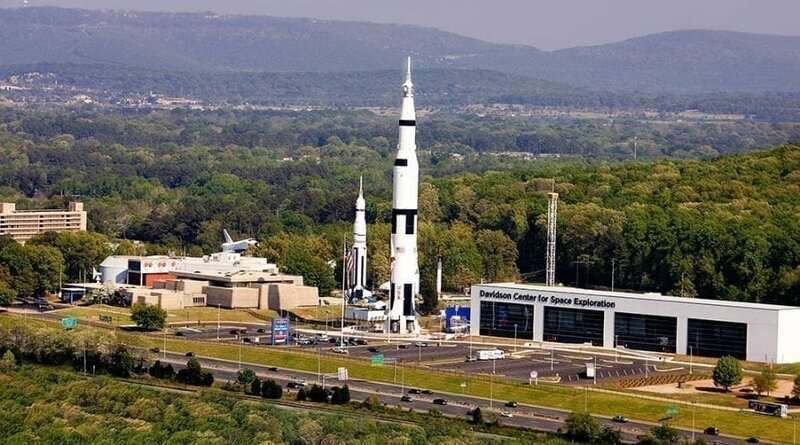 Both the U.S. Space and Rocket Center and Space Camp will continue developing hands-on experiences for engaging and motivating future generations to blast off into STEM careers. Images Courtesy of U.S. Space and Rocket Center.